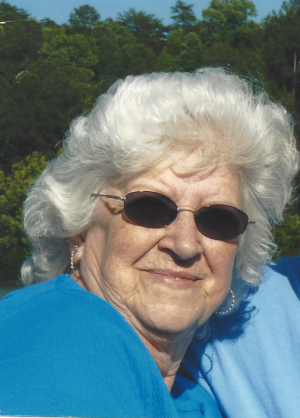 Dorothy Ann (Jones) Phillips passed away peacefully at her home Monday, Dec. 3 at the age of 78. Dorothy was preceded in death by her parents, Elmo and Virgie Jones, husband Joe Phillips, and grandson Scotty Phillips. She is survived by her two sons, Dale Phillips and Randy Phillips and four grandchildren: Adam Phillips, Brandi Phillips, Brad Phillips and Ryan Phillips. A 1958 graduate of Gorgas High School, Dorothy worked for more than four decades at Bryce Hospital in Tuscaloosa and loved her family more than anything, but she was known as “grandmother” to many others. She also dearly loved her community, church family and friends, along with coffee, country music and late-night television westerns. The visitation will be held on Thursday, Dec. 6, from 6-8 p.m. at Nelson Funeral Home in Fayette. The service is set for Friday, Dec. 7 at Phillips Chapel Free Will Baptist Church at 2 p.m., with Rev. Ed Steelman and Rev. Jerry Montgomery officiating. Pallbearers are: Howie Jones, Tony Jones, Phillip Howell, Brad Phillips, Ryan Phillips and Bryan Vining.